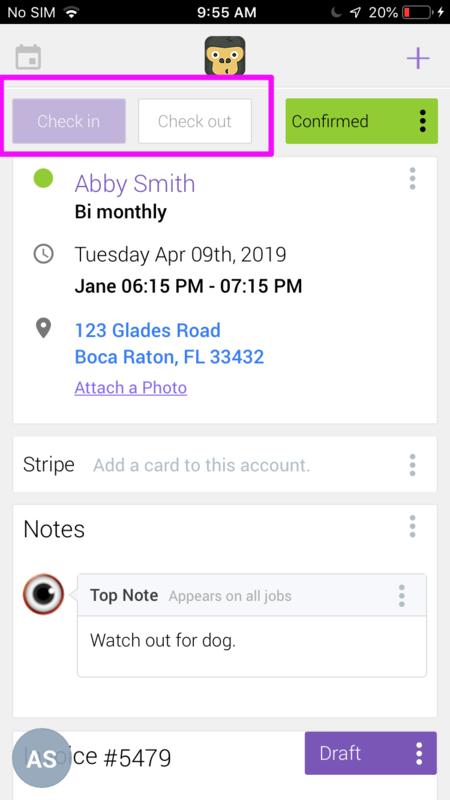 An easy-to-use GPS tracking software that retraces your technicians steps and makes job scheduling more efficient to ensure no jobs slip through the cracks. 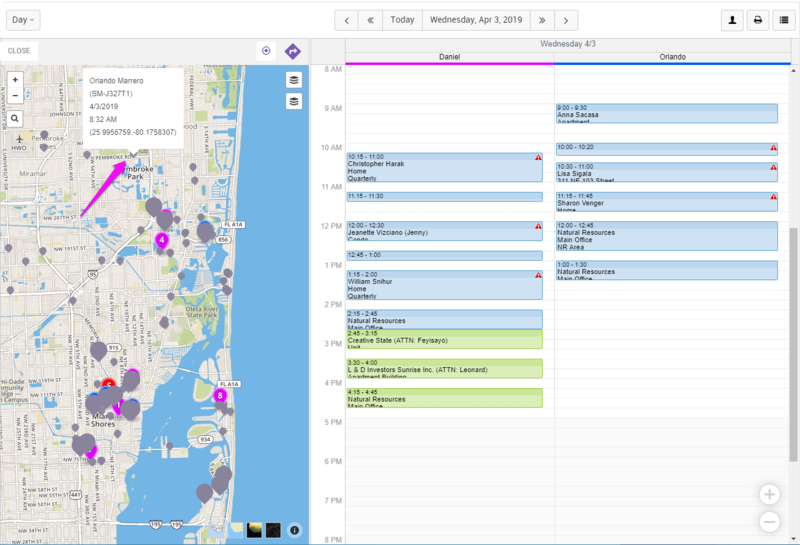 View technicians and their scheduled jobs on a map of you area. Schedule more efficiently by seeing your technician’s current/past location data in relation to active jobs. Retrace your technicians steps to ensure no jobs slip through the cracks. Utilize your technicians current or past location data to understand their workflow on their day-to-day. Office and admin users can view their technician’s location data all from within the app. Each tech’s location is represented an avatar on their map and is updated in real time. 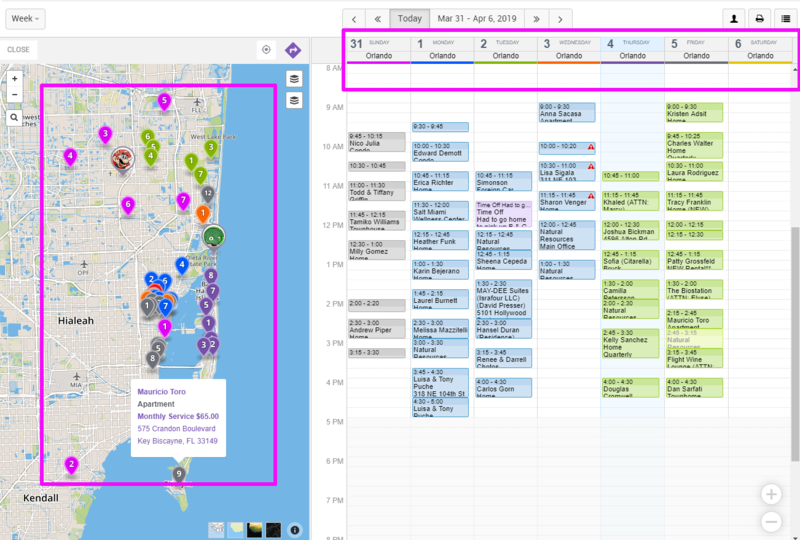 When viewing a single technicians schedule, all active jobs will appear as color coded pins associated with each day of the week; allowing admins to better understand their technician’s route. 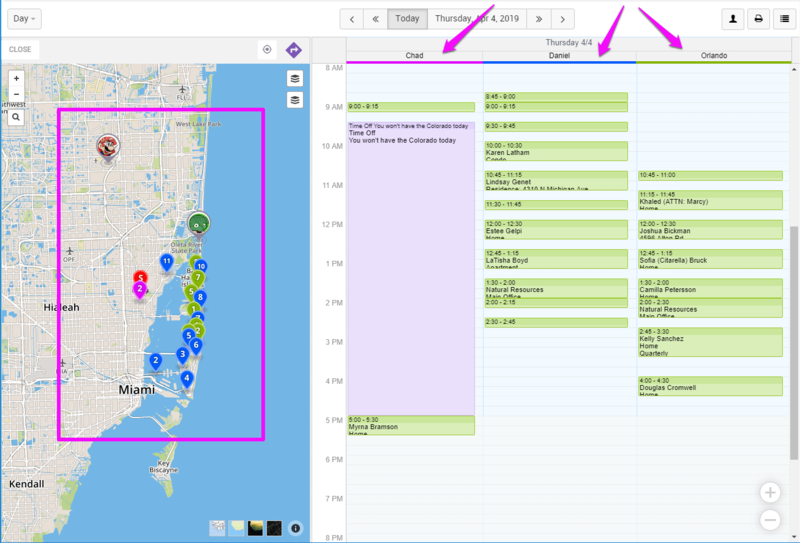 When viewing multiple technician’s schedules, each scheduled job is color coded with the corresponding technician; allowing you to see each technician’s job in relation to one another. GorillaDesk’s power-ups offer some added functionality for Pro Plan users. Requires your techs to be within 1.75 miles of the location to check in on their mobile app. If your technician is not within 1.75 miles of the service location, the check in/out options will be greyed out. Saves additional tech coordinates at the exact time of check in/out. Clicking on the larger grey pins on your map will allow you to access that information at any time. Do I need to be on the Pro Plan to use GPS tracking? You will have access to the primary GPS functionality on the Basic Plan. This will allow you to see your technician’s location on the map in relation to their scheduled jobs. However, only Pro plan users will have access to the Replay, Vicinity, and Overwatch power-ups. Do I need to buy any hardware to install into my trucks? No, the GPS tracking is based off of the location of the mobile device. No additional hardware is required. Are my technicians able to modify or alter their location data? 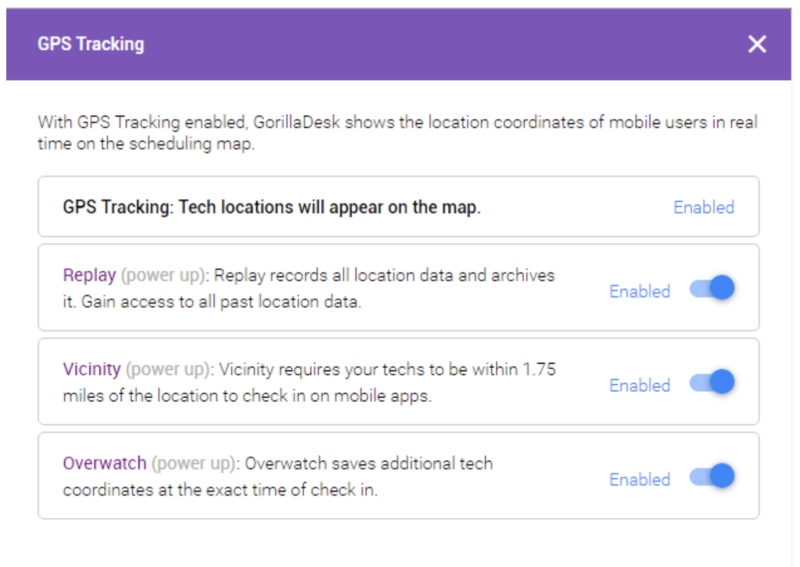 No, Gorilla does not provide the possibility of any location data being altered or changed at a later time. Am I able to access the map for GPS tracking on my mobile app? 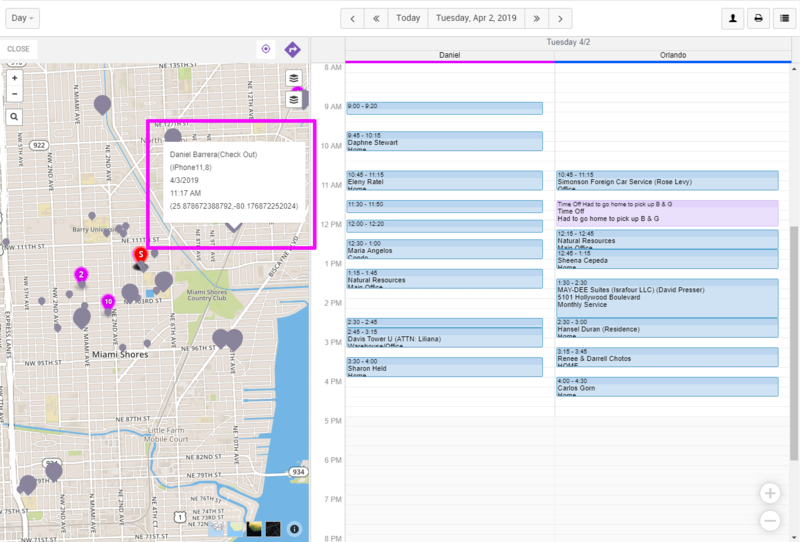 Office and admin users are only able to see the map view on the desktop version of GorillaDesk. Though the mobile devices will be tracked, users cannot access their map on the mobile application.